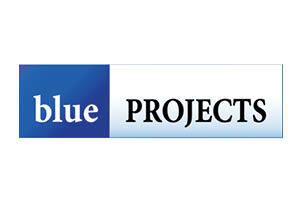 Blue Projects is a unique multidisciplinary and engineering company with wide experience in all industry sectors. Our core services include Project Management, Construction Management, Design & Engineering, Commercial Management and Health & Safety Management which help each client with their developments, from conceptual design all the way through to completion. Our Romanian teams of experts, spread around the world, have enabled us to reach new heights and territories. Blue Projects is currently servicing a broad range of companies from the industrial, commercial, retail and residential sectors, through its offices located in Romania, Poland, Russia, Belgium, Canada, the USA; but we are also active in the Czech Republic, the UK, Turkey, South-Africa, Nigeria, Uganda, Ghana. Blue Projects incorporates a comprehensive range of Services and Areas of Expertise which are tailored to meet the individual needs of our clients and their projects. Our overall responsibilities encompass all aspects of planning, execution, monitoring, control and closure to ensure the successful delivery of projects.